You may have been told that too many spices in your diet can be bad for your skin. 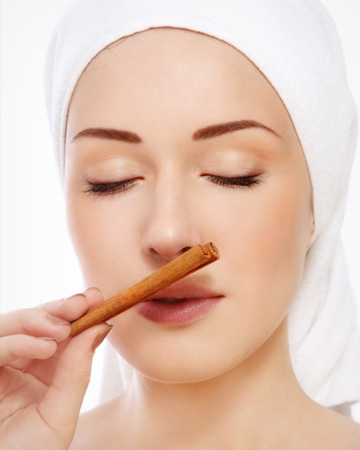 As a skin treatment, however, spices are a great natural and inexpensive skin care treatment. Try a few of our favorite spices that can add flavor to your skin care regimen. Cayenne is known to increase blood flow and circulation, is high in vitamins A and C and can also fight off breakouts. All in all, it’s a powerhouse for your skin! “In fact, two teaspoons of cayenne (or 3.52 grams) contain nearly 30 percent of your daily recommendation of vitamin A!” says Rianna Loving, founder and creator of Orgo Beauty. These vitamins are antioxidants, which protect skin from damaging free radicals, which break down our collagen and cause aging. Cayenne pepper is a great anti-inflammatory spice that stimulates the blood flow to the skin, which enables oxygen and necessary nutrients to reach the cells. It is full of beta-carotene and antioxidants. It is also great for the immune and digestive systems. Ginger is a powerful anti-inflammatory herb. Inflammation is a major component with acne and other skin problems, so any way you can reduce inflammation can benefit your skin. 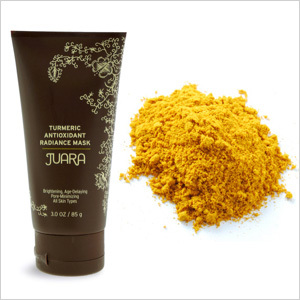 Turmeric is promoted mainly as an anti-inflammatory herbal remedy. “Turmeric’s active ingredient is curcumin, which has potential anti-cancer properties and is a popular anti-aging ingredient in beauty,” says Loving. Turmeric has been used in Chinese and Indian medicine for over 2,000 years — it is known as prosperity spice. The natural spice evens out wrinkles and limits stretch marks. It also helps heals acne and has great anti-inflammatory properties. 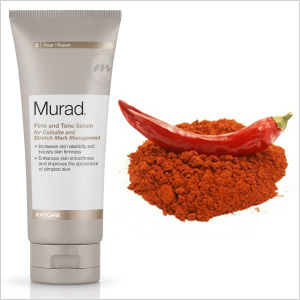 Paprika contains vitamin A and high amounts of vitamin C. “Vitamin C fades age spots, brightens complexion and is antioxidant, which will protect skin from damaging effects of pollutants and environmental factors,” says Loving. Paprika is also high in iron and beta-carotene. Beta-carotene is an organic compound rich in vitamin A. It helps prevent wrinkles and promotes a bright complexion. It’s hard to overstate the benefits of pumpkin — its plentiful antioxidants, enzymes, iron, zinc, vitamins C and K, and fiber make it one of nature’s great health foods. “As it turns out, the properties that make pumpkin so nourishing for the body also benefit the skin. 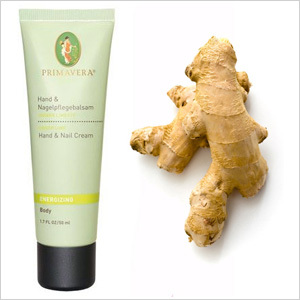 Its enzymes make it a safe and effective exfoliator — a gentle alternative to harsh chemical peels. Its phytonutrients, minerals, enzymes and vitamins infuse the skin with important elements that bring about cellular rejuvenation and strengthen weakened skin structures,” says Sarah Eggenberger, VP of Product Development and Innovation for MyChelle Dermaceuticals. This popular and aromatic spice has been used for centuries and is especially useful to acne and blemish-prone skin during the winter months when skin tends to become dry and dehydrated and one’s oil glands often overcompensate. 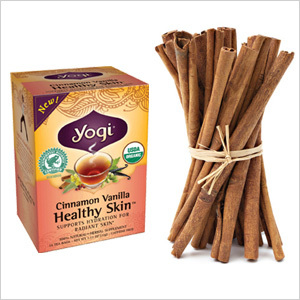 “You can take advantage of cinnamon’s antibacterial properties at home by mixing ground cinnamon with water and applying over the face and neck. For the more adventurous, you can also mix a few teaspoons of honey with ground cinnamon and leave as a mask on the face for about 10 minutes (or until your significant other licks your face clean). The mixture will kill acne-causing bacteria and will soothe the skin,” says Arianna Skin Care CEO Jay Stefanov.